GRAMMY® Award-winning producer and musician Mark Ronson’s new single Uptown Funk featuring Bruno Mars was released today and was co-written and co-produced by Ronson and Mars, that was first revealed the song’s existence via Twitter on October 30th. The single is definitely funk-a-licous that we are loving and is like jazzed up 2014 version of Blurred Lines, but better! 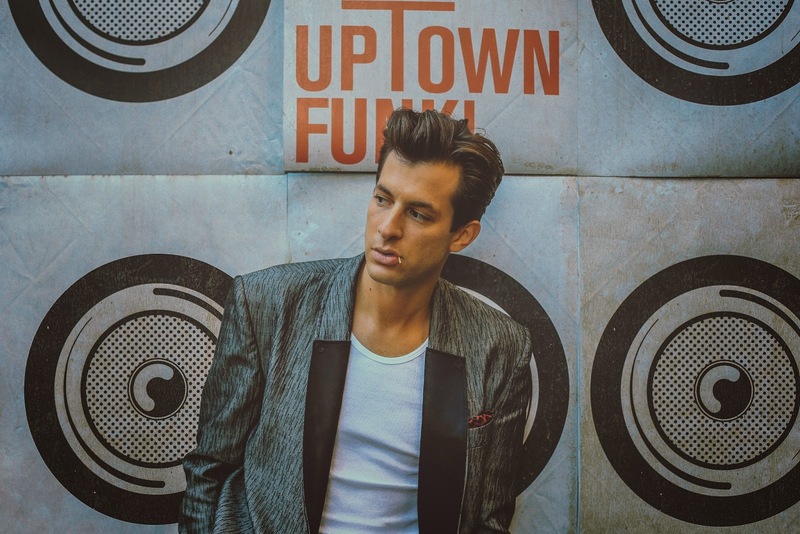 The song is the first single from Mark Ronson’s forthcoming album Uptown Special who will perform the track Uptown Funk on America’s famed Saturday Night Live performing with Bruno Mars along with an additional track from the new album featuring another very special guest. This is Mark Ronson’s first performance on the late night NBC show. "No matter how my taste in music and DJ-ing veers over the years, I always find myself coming back to that music I would play out in hip-hop clubs in NY in the late 90s/early 2000s”, Ronson elaborates. "Biggie, Chaka Khan, Amerie, Boz Scaggs, Missy, Earth Wind & Fire, N.O.R.E….Those songs would set alight the dance floor. The NY club scene was filled with girls, boys, dancers, drug dealers, rappers, models and skateboarders who came mostly for one reason: to dance. And regardless of genre or era, if the song was good - if it had dope drums, if it had soul to it - they danced. Before smart phones, bottle service and smoking bans, people came to the club, found their spot and stayed all night, absorbed in the music. With Uptown Special I set out to capture the feeling I remember from those New York nights." This is Ronson's fourth album written and produced with GRAMMY winning producer Jeff Bhasker over 18 months in studios in London, Memphis, Los Angeles and New York City. The majority of the album’s lyrics – although not the lead single with Mars, were written by Pulitzer-winning American novelist Michael Chabon. Ronson's favourite living author, Chabon became a part of the songwriting process early on and was fully immersed in the album’s narrative creation, often working with Ronson and the vocalists in the recording studio. Tame Impala’s Kevin Parker plays a huge role on the album, lending his signature, woozy vocal to three songs, as well as laying drums, guitars, synths and background vocals on other tracks. Longtime collaborator Mike Snow's Andrew Wyatt also added his wonderful vocals and songwriting talents along with many other amazing producers. Check out the fantastic new single below and grab your copy of the track on iTunes now..!